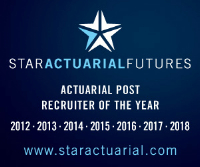 Our client is seeking a part-qualified non-life actuary to build and develop pricing models, undertake price optimizations and carry out price changes in order to drive profitability and growth of the business. Ensuring modelling practices are followed and document model builds, you will assess model performance on a continuous basis and highlight changes that need to be made. In addition, you will suggest new techniques and tools that can be used to improve model predictiveness. With experience of building statistical models, the successful candidate will ideally have experience of working with SQL, R, SAS or Python.